Kindergarten Parents, we’re transitioning to an online classroom newsletter for Fridays so we have included a few updates and reminders for you. 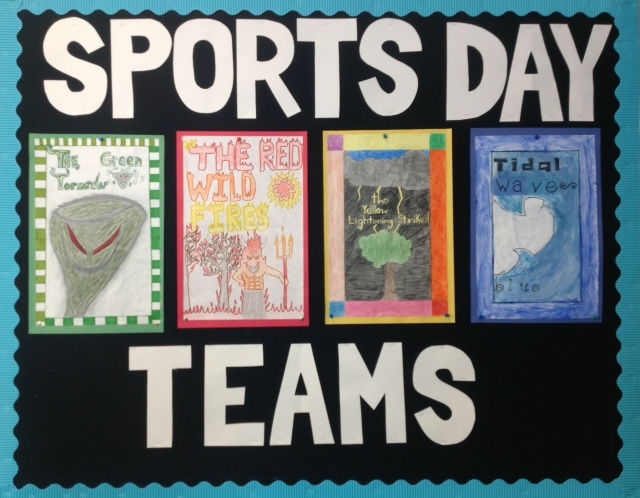 Another great tradition, the Ridgeview Sports Day is next Friday, June 12. We will start promptly at 9 am, following the singing of “O Canada,” so please arrive on time for school. Division 15 (Mrs.Campbell and Mrs. Tsumura) is on the Red Wildfires Team. Division 16 (Mrs. Daudlin) is on the Blue Tidal-waves Team. Children should wear t-shirts in their team colour, shorts and running shoes with socks. You’ll notice some older students enjoy painting their hair and faces in their team colour for Sports Day, and if your Kindergarten children would like to do so at home, they can let their team spirit shine! Please ensure you have put sunscreen on your child before school, and send along a hat in case the weather becomes hot. Our teams gather on the paved area of the playground, so that is a great place to watch our team cheers. We will then move in to our mini-teams to participate at a variety of stations and you can follow your child around the events. Following a Popsicle/Freezie snack around 10:30 am, all Kindergarten children will be called to meet their teachers on the playground and we will head back to our classrooms to have our regular snack time, and Activity Time. Kindergarten students are dismissed at 12:00 pm from our classrooms. If you were planning on ordering lunch and staying for the rest of the day to watch your older children, your lunch orders can be picked up from the school kitchen which is located near the gym. Parents can order their lunch through munchalunch.com. Please feel free to bring a blanket and have a picnic on the grass field. If your child attends Camp Ridgeview, please make arrangements with them for an early pick-up from the classrooms. We saw a Grade 10 Drama class from West Vancouver Secondary School perform six Robert Munsch stories. They used simple props from home and school in their excellent Story Theatre production. 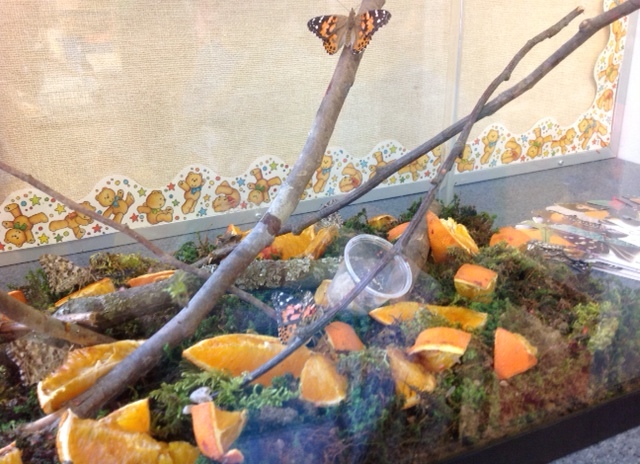 We went to visit the hatching chrysalis in Mrs. Bird’s and Mrs. Tsumura’s Grade 2 classroom. The butterflies were beautiful! In Math, we have started our Measurement unit, and worked on centres about length using non-standard units such as links, Popsicle sticks and multilinks cubes. Ms. Wilson, the District Innovation Support Teacher (Elementary), taught our classes how to use the app “Welcome to Draw and Tell” by Duck, Duck, Moose. 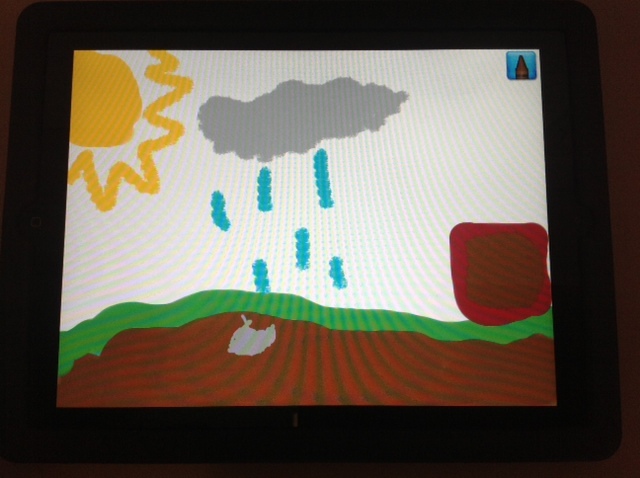 We’re using it to draw pictures to make digital picture books about how seeds grow with our Grade 7 Buddies. Tuesday, June 16: Prince and Princess Day. Children may dress up if they wish for our day of “royal” activities. Thursday, June 18: Kindergarten Field Trip to the Vancouver Aquarium. Permission forms were sent home on Thursday. Please return your permission form as soon as possible. Mondays, Wednesdays and Fridays is Home Reading Book Exchange. PE is on Tuesday and Wednesday for both classes next week. Please wear runners. No Sushi lunch on Tuesday, June 9. Please check your Remind app texts and emails for any updates or changes.